This charming new guide to modern life reveals the secrets of the Princess of Hollywood and how to discover your inner Grace. Jackie O, Marilyn Monroe, Princess Diana ...move over, darlings! Icons one and all you might be, but to our minds Grace Kelly beats you, hands down, to the No. 1 spot in history's roll call of leading ladies. Sure, most of you have inspired generations of fashionistas, some of you have lit up the silver screen, and one among you married a prince, but only Grace - model, actress, socialite and princess - has done all three, and made it look effortless. stars, while her role as Princess Alexandra in The Swanas wife to the Prince of Monaco. The essential blonde riposte to the bestselling What Would Audrey Do?s very own princess on how to handle everything from careers and cashmere, to manners and men. 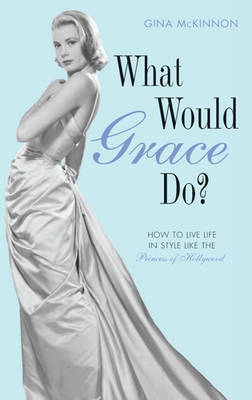 Grace Kelly set a standard for elegance that has inspired women ever since, What Would Grace Kelly Do? reveals her secrets.